individuals that are able to bridge sub-discplinary divides by publishing in a whole host of subfields. Ideally, we would build a huge database of articles, chapters, and monographs. However, this requires lots of research assistants, and so for the time being, we use the Social Science Citation Index, which covers at least the core journals. We are soon due to deliver a paper at a conference, so I started writing it up. 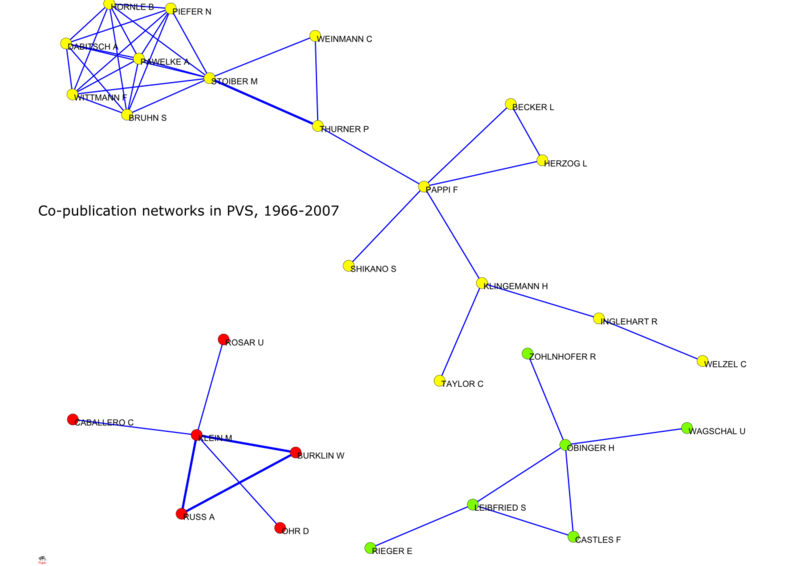 I’ve already put some preliminary findings on co-publication in Politische Vierteljahresschrift (PVS), arguably the most important German political science journal, on the web. The summary is very short and perhaps not very surprising: it doesn’t happen on a large scale.